1. 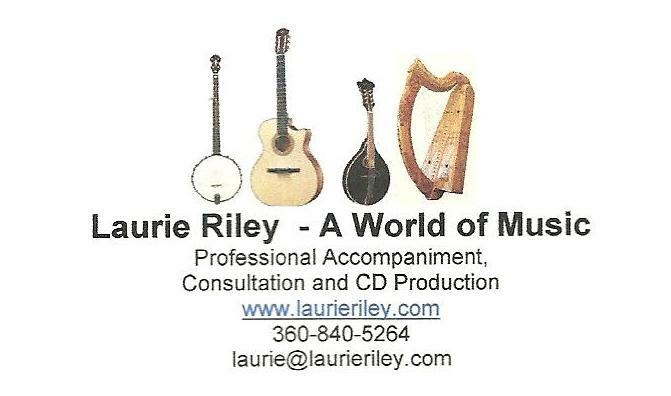 Laurie Riley’s online store (her books, CDs and DVDs) for musicians. *The blog is for acoustic musicians at all skill levels. I’ll be posting information on a wide variety of music-related topics: performance, business, teaching, playing skills, music theory, ergonomics, and so on. I welcome your questions and suggestions for subjects. Some subjects are covered in a series of posts. That doesn’t mean the entire blogsite is always about that one subject. Scroll down the home page to see all the posts. If you like this blog, please click on “FOLLOW” to get notifications whenever a new post is up. This blog does not address electric or electronic music. Acoustic music is made without amplification. The many styles of acoustic music can include traditional ethnic music from any country, folk music, classical music, Celtic, jazz, blues, old time, bluegrass, and much more. I am being lured by the beautiful relaxing sound of the harp and watching many YouTube videos and reading up about them. I really love the sound of the double strung harp and the flexibility of it. However, is it best to learn on a single strung harp then progress on to the double? I must learn to walk before I can run! Ant help you can give will be greatly received. There are four different books for double-strung there. Be sure it’s the one that says “Beginners”.